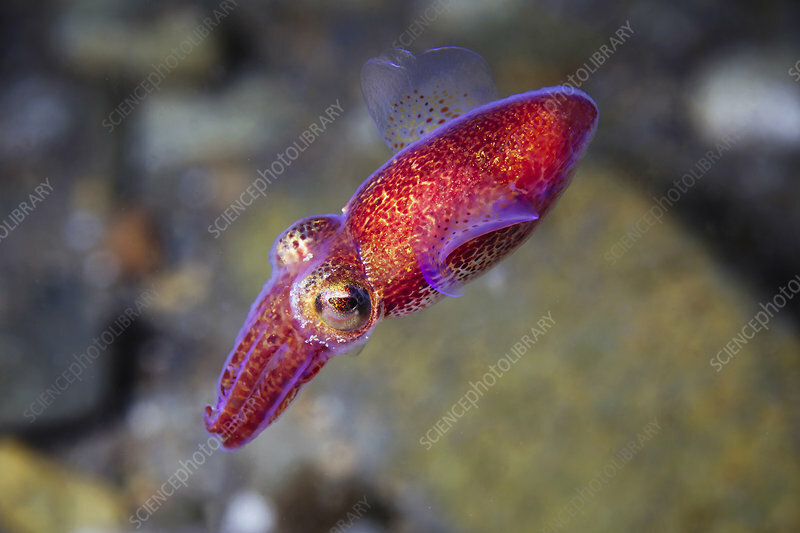 Butterfly bobtail squid (Sepiola birostrata). Bobtail squid are found in the Pacific and Indian Oceans. They have a symbiotic relationship with bioluminescent bacteria, in which the bacteria receive nutrients in return for hiding the squid's silhouette when viewed from below. Photographed in the Sea of Japan.